The I-League looks to be a closely contested one this season, with Minerva Punjab being the real surprise package of the season and sitting on top of the table after five games. Punjab have shown a great display of determination to win almost all their games and have been quite unstoppable ever since scoring that equalizer against Mohun Bagan in the inaugural match of the season. The Mariners themselves have stumbled recently, dropping crucial points at home and being plagued with injuries to key stars. Meanwhile, their rivals, East Bengal have shown great resurgence after their derby defeat and have won 3 games on the trot and look really strong heading into the final game-week of 2017. 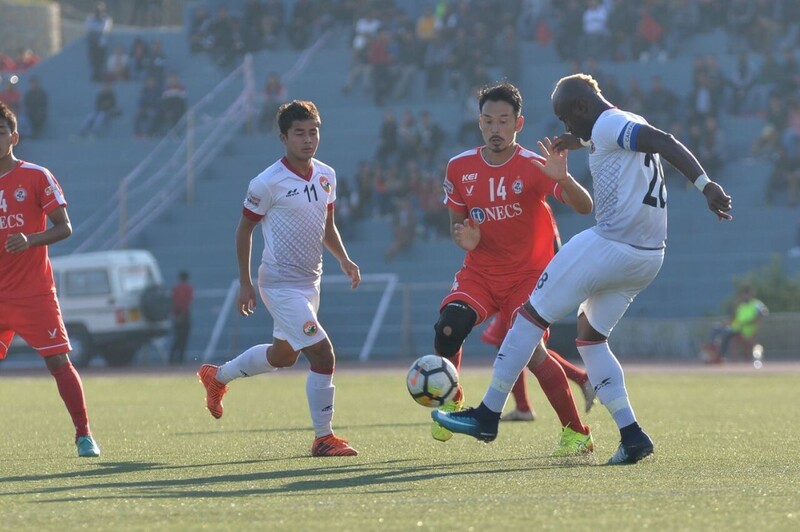 They are closely followed up by the impressive Shillong Lajong and NEROCA FC, who have surprised many with their emphatic form recently, while champions Aizawl FC have some catching up to do. 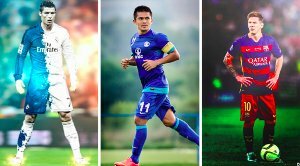 So let’s take a look at a preview for the final I-League gameweek of 2017. Date & Venue: 26th December/ Ambedkar Stadium, New Delhi. Indian Arrows may have started their I-League season with a bang, but have struggled to cope up with the pressure of the league ever since. They've lost their last 3 matches on the trot, with their recent defeat at home to Gokulam Kerala FC proving just how much work they need to put on to improve their form. 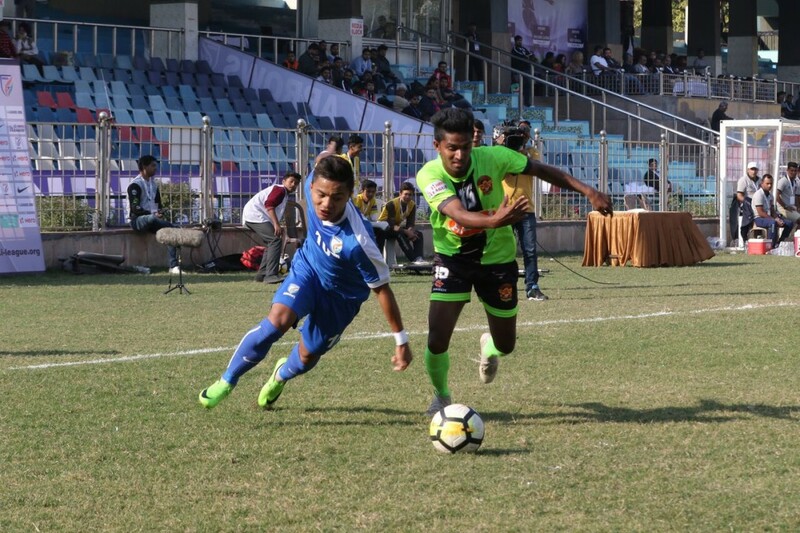 The young side are finding it really difficult to compete with the top I-League teams and will have it only difficult in their game against Shillong Lajong. They will need to be solid defensively to contain this dangerous Shillong side, who are a treat to watch in the field. Luis Norton de Matos needs to change up his tactics and make sure his boys can play sensibly against these physically-superior, much experienced teams and will need to get a result in their next home match. 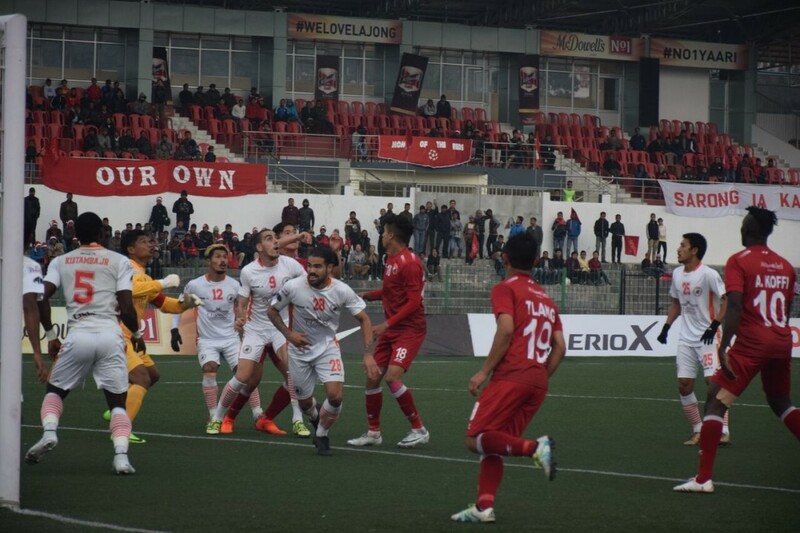 Arrows will need to play with passion and determination to thwart this Lajong team, with a positive result helping them gain a lot of confidence. Shillong Lajong have recovered really well ever since their thrashing to East Bengal and looks to be back on track to launch a proper title challenge this season. The young Lajong team have played some stunning attacking football this season, but blanked against NEROCA FC at the NorthEast Derby. 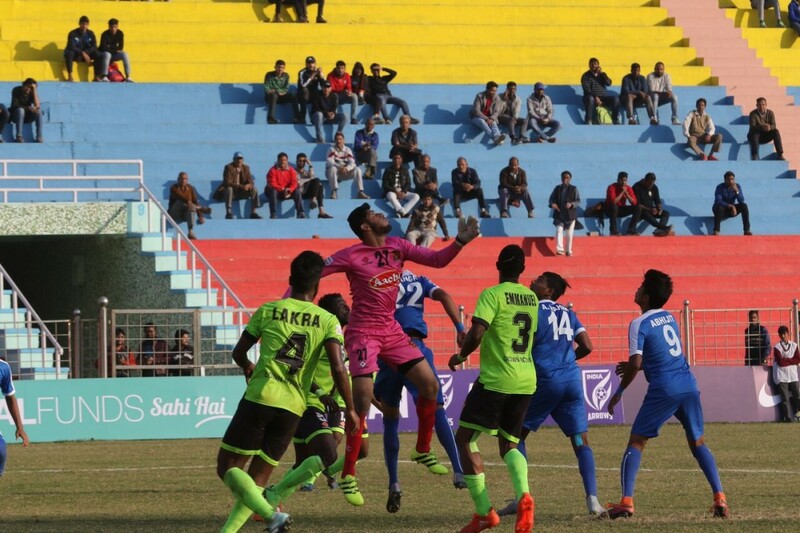 Shillong need to bounce back immediately in order to keep up hopes of a title challenge this season, but will need to be wary of Indian Arrows' threat. Lajong are currently high on confidence with their recent form, but will need to be wary of the threat Indian Arrows could possess at their home ground. It could be an entertaining match to watch because of both sides' attacking style of football and Shillong will hope to end their year on a high and make a statement with a compelling victory over Arrows, which could entice the fans and end their year on a high. Date & Venue: 27th December/ Rajiv Gandhi Stadium, Aizawl. Defending champions of the I-League play host to the current league leaders Minerva Punjab in what promises to be a pulsating clash. Aizawl FC has had quite a bad start to the season. Having won just 1 game out of the three that they have played so far, it looks very contrasting to what we witnessed from this club in the previous edition of the I-League. Aizawl are currently sitting at 6th in the table with a meagre 4 points. Meneses’s men haven’t quite found their footing yet. They’ve scored just 3 goals in the league but also have tightened up at the back. The game against Minerva will be quite hard as Minerva are quite possibly playing the best football in the league so far. The Punjabi outfit are currently the league leaders after collecting 13 points in the 5 games that they’ve played. Minerva Punjab along with Mohun Bagan are the only two unbeaten clubs in the league as it stands. Khogen Singh’s men have started their campaign in a very strong fashion. After drawing their first game against Mohun Bagan, they’ve put up an impressive 4 match winning streak leading up to this game. Going head to head, these teams have faced each other twice with Aizawl coming out as the winner. The other fixture held at Minerva’s home ground, ended in a 2-2 draw. Although Aizawl FC seemingly has the upper hand in the H2H column, the odds are still stacking in favour of Minerva and Aizawl FC will have to work very hard to break this side. Date & Venue: 27th December/ Barasat Stadium, Kolkata. The Red & Gold have started their season well as they sit 2nd in the table with 10 points. Having lost the derby against the Mariners, they did not sulk but instead they steadied their ship and won 3 games on the trot. East Bengal’s biggest strength this year is their attacking prowess. They have scored 13 goals so far in this campaign which is the highest in the league. It will be quite a tough ask for Gokulam Kerala to stop this menacing attack. Khalid Jamil’s men have gelled very well and this is showing on the pitch game after game. With Al Amna’s passing and Willis Plaza’s potent finishing, they have benefitted a lot. Laldanmawia Ralte along with Katsumi Yusa have 3 goals each and they’ve been a big contributing factor to make this attack work. Gokulam Kerala FC are I-League debutants. The Kerala based outfit started off their campaign against Shillong Lajong FC which saw them lose 1-0. With every passing game, they slowly improved and they successfully got their first victory in the I-League against Indian Arrows which was an impressive 2-0 victory. The two teams have not faced each other before but as newcomers to the I-League, they will be seen as the underdogs in this match-up. Gokulam Kerala will need to work twice as hard if they want to come away with something in this match. East Bengal in the form that they are in will be very tough opponents for the newcomers. Date & Venue: 29th December/ Salt Lake Stadium, Kolkata. Right after the derby victory in the 2nd game of the season, it looked like Mohun Bagan were ready to fly and fly they did. They beat Churchill Brothers 5-0 at home and it looked like the Mariners had found their footing. After the 5-0 drubbing, they’ve drawn the last two fixtures against Shillong and NEROCA respectively which brought them down to 4th position in the table. Dicka has been in great form for the Mariners and they will be looking towards him for inspiration in this game. Sanjoy Sen’s men have been lackluster in their last two outings and he will be looking to set things right for Mohun Bagan. 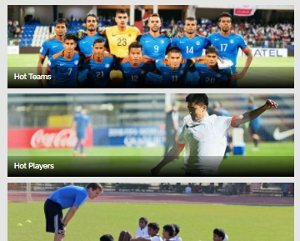 Indian Arrows started the season right with a win against Chennai City FC. Ever since that win, it has been downhill for the team. Having lost 3 straight matches without scoring a goal, the team will be desperately looking to change and mix things up to put up a better performance this time around. 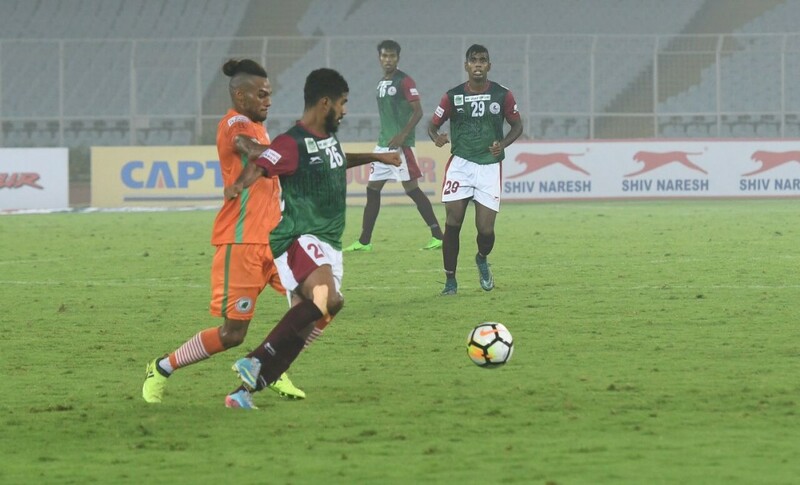 Indian Arrows and Mohun Bagan have faced each other previously 6 times in which Mohun Bagan came out the winners 5 times and the Arrows having won this tie once. Mohun Bagan will look to bounce back with a victory after having just drawn against NEROCA in their previous outing. Should the young Arrows get something from this, it’ll be a big upset. Date & Venue: 30th December/ Khuman Lampak Main Stadium, Manipur. NEROCA FC have truly surpassed everyone’s expectations and have been this year’s surprise package. Currently standing in 3rd place, NEROCA FC have been playing great football all over the pitch this year. They’ve scored the 3rd highest goals (7) amongst all the teams and are joint top clean sheets in the league (3). The Manipuri outfit have been quite dependent on Ronald Singh and Odili Chili who have scored 2 goals each for them. Winning this contest would mean that these two keep delivering like they’ve done so far this season. The Head Coach Raikhan would feel quite optimistic going into this match against a footballing giant who are tied on points and above them on goal difference. The Red & Gold will be travelling after facing Gokulam Kerala FC to face the high flying NEROCA FC. East Bengal have been in good nick all this while but NEROCA are really in-form at the moment and look like they could take any team down. This game is truly David vs. Goliath and should NEROCA pull off a victory, we should not be surprised. Date & Venue: 31st December/ EMS Stadium, Kerala. A mid-table clash which sees the 7th placed Gokulam Kerala take on 6th placed Aizawl FC. Both the teams have started the season in a very slow manner picking up 4 points each. 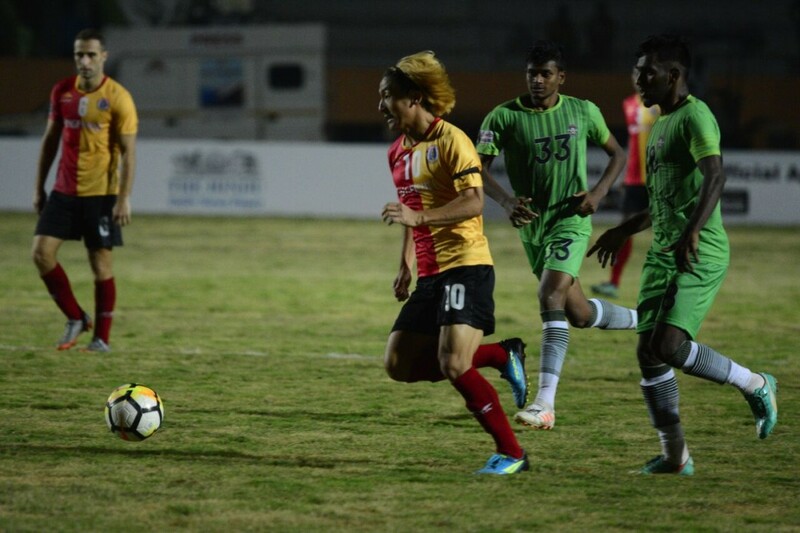 Gokulam Kerala will be facing East Bengal on the 27th prior to this fixture after which they travel back home to play Aizawl FC who will be coming on the back of a match against the current league leaders Minerva Punjab. The two teams have not met previously in any competition and the pragmatic approach favoured by both the clubs could very well see this game end in a stalemate too. Aizawl FC will be relying on their main man, William Lalnunfela to help the team cook up a win. Kerala has played with so much confidence in their home ground and the huge crowd following helps the I-League debutants. This fixture will be a tricky one as both teams look to get their season back on track.